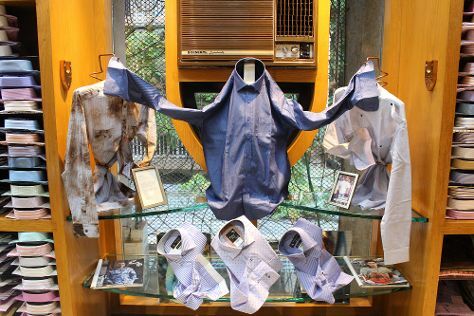 Shop till you drop at Charagh Din Shirts and Viviana Mall. Eschew the tourist crowds and head to Red Carpet Wax Museum and R City Mall. Explore Mumbai's surroundings by going to Karnala Bird Sanctuary (in Karnala) and Versoli Beach (in Alibaug). Pack the 5th (Sat) with family-friendly diversions at KidZania Mumbai. There's much more to do: get a taste of the local shopping with High Street Phoenix, wander the streets of Colaba Causeway, take in the spiritual surroundings of Shree Siddhivinayak, and look for gifts at The Bombay Store - Mumbai. To see more things to do, reviews, ratings, and more tourist information, read our Mumbai trip planner . In January, plan for daily highs up to 36°C, and evening lows to 19°C. Finish up your sightseeing early on the 6th (Sun) so you can travel back home.